Maltese perfumer Stephen Cordina has created a range of candles and diffusers which can be bought to support the Save the Spire of St Paul’s Pro Cathedral campaign. 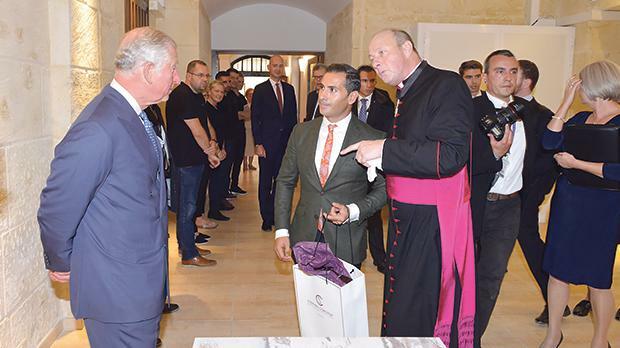 The highlight of this campaign was a visit by Prince Charles to the new Undercroft Café in Valletta where the range is on sale. Mr Cordina, centre, is seen with the Prince of Wales and Chancellor Simon Godfrey.